Giving form to the urban woman's most common nightmare — the too-helpful concierge who looks at you as though he's just rifled through your underwear drawer — Sleep Tight is a nifty little thriller that dances on the boundary between plausible and preposterous. 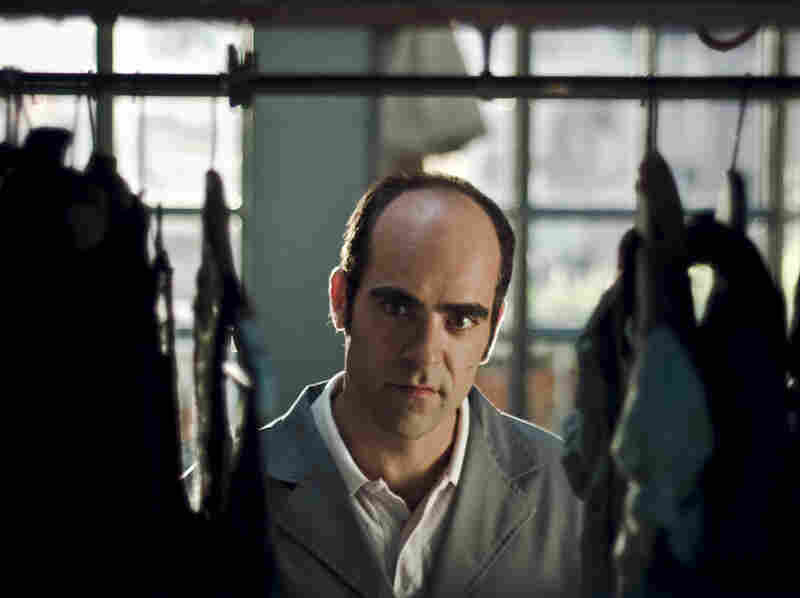 An old-school creeper about the evil that lurks in plain sight (and sometimes under your bed), Jaume Balaguero's slowly escalating psychodrama swirls around Cesar (Luis Tosar), caretaker of a sunny Barcelona apartment building. Cesar's tenants seem a jovial bunch, especially Clara (Marta Etura), a glowing beauty who's never without a smile. Yet though we've just seen Cesar wake up in Clara's bed, use her toothbrush and quietly exit her apartment, he still looks miserable. As we learn from his voiceover, Cesar has never felt happiness, a condition he likens to being deaf or blind. "Only worse," he sighs, unburdening himself regularly to a prone crone in a hospital bed. He calls her Mother, but as we get to know him we're not so sure. Cesar, you see, is a very sick man; and Tosar, with his balding dome and demented-spaniel eyes, gives him a slinking servility. He'll feed the dogs of a chatty elderly resident (Petra Martinez) and smile at the insolent preteen (Iris Almeida) who inexplicably spews milk on his desk. Underneath, however, he's nursing a dark purpose: If he cannot be happy, he'll make damn sure no one else is either. By day, he plays along with the charade; by night, he executes a campaign of shocking intimidation. And as we learn the truth of his connection to Clara — and his obscene plans for their future — we can only worry about his effect on the rental market. Cesar's (Luis Toscar) twisted obsession with ruining his tenants' lives is the stuff of urban legend. As meticulously executed as its antihero's monstrous wee-hours invasions, Sleep Tight, like Balaguero's hyperventilating zombie features [REC] and [REC] 2 (both co-directed by Paco Plaza), takes place entirely within a single apartment building. There the resemblance ends: Rejecting the earlier films' chaotic, found-footage design, Balaguero has styled something altogether more elegant, using a screenplay (by Alberto Marini, adapting his own novel) structured for tension rather than scares. Manipulating sunlight and shade with equal skill, cinematographer Pablo Rosso (who shot all three movies) adds an invaluable airiness to subject matter that could easily have become uncomfortably oppressive, giving the film's twisted humor room to resonate.